No 1 Ejuice - After giving up smoking and switching to e-cigarettes, we discovered that finding great tasting, premium e-liquids was a difficult task, as there is so much choice available to choose from and no reliable source to ensure that the cigarette liquids we bought were really as good as they seemed. We established No. 1 Ejuice to be that single location to go to for the best, most satisfying e-liquid. At No. 1 Ejuice, we work hard to source only the best e-liquid so that our customers can be guaranteed a truly enjoyable vaping experience. We search out incredible quality, unique flavours and a satisfying vapour in order to ensure our range of cigarette liquid is unparalleled, whilst keeping our prices at the wholesale price, making them great value for money and ensuring that No. 1 Ejuice is not only good for your e-cigarette, but good for your wallet as well. No. 1 Ejuice is proud to offer a great affiliate program so that you can get a little extra from your e-liquids. You can make money from our e-liquid simply by hosting a page banner or text link on your blog, social media website, or even just through sharing with friends looking for good cigarette liquid. Should an e-liquid purchase be made after visiting No. 1 Ejuice using one of your links, you will pick up 10-15% of that sale as commission. Organic Wine Club - UK’s first wine club solely dedicated to organic wines. Delicious organic wines, wine club offers and discounts, wine tasting at home subscription. Natural, biodynamic, sulphite-free, vegan-friendly organic wines available. Drink better, drink organic! Earn 5.00%-7.00% commission on all goods. Ozfoodhunter.com.au - order food online all over Australia. Type your post code and select the suburb on dropped down and choose the restaurant to place the order. It will be delivered to your place. OzFoodHunter have multiple choices of dishes which saves time and user friendly online food ordering platform. Earn 1% commission on sales. Plated - compile chef-designed recipes and deliver all the ingredients necessary to make a home-cooked meal — from the cut meat and chopped produce, right down to details such as a teaspoon of tumeric or a quarter cup of coconut oil — directly to your door. As an affiliate you will earn commission on NEW customer orders that you refer to www.plated.com. Here is how it works: For every NEW customer order, you will earn $5. If you drive sales of $250, your commission will go up to $10. If you drive sales of $500, your commission will go up to $15. Please remember that this works on a month by month basis. Plated offers customers a promotional code that will give them 30% off their first order - typically totalling between $40-$60. The customer will need to enter the code in the promotional code box to receive the offer. Pong Cheese - We're like you...we LOVE cheese! Everyone loves cheese. Pong was created to bring customers in the UK some of the very best cheeses produced by the leading independent and artisan producers, complimented with some classics from Europe. At Pong we believe cheese is the greatest gift of all. We sell a large selection of cheese gift selection boxes for the ideal birthday, anniversary, wedding or corporate present. Each of our cheeses is a little masterpiece of taste and texture and in most cases has a unique and highly skilled process behind its production. From the bizarre looking but phenomenal tasting 'Oxford Blue' to the now legendary 'Stinking Bishop', any of the cheeses available at Pong deserve centre stage. Earn 7%-8% commission on every sale (excludes P&P and VAT) over a 90 day cookie window. 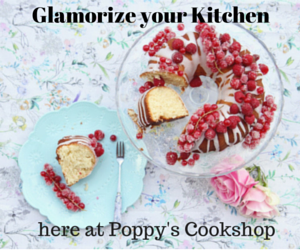 Poppy Palmer - is an online UK bakeware and kitchenware store, stocking only our favourite trendy bakeware items which we have personally curated from some of the world's best and most unique manufacturers. We love our own baking hamper basket, and we hope you do too! We put together a collection of the best essential bakeware items we could find to help beginner bakers who want to learn!Check out our baking hamper basket and more here, and enjoy our amazing deals and free giveaways only available to subscribers! We offer affiliates a sliding scale of commissions from 3-10% on all traffic that converts to a sale. Cookie tracking of traffic for 7 days after the first visit. We supply banners and links and have regular sales and promotions that you can mirror on your website, blog and social media. 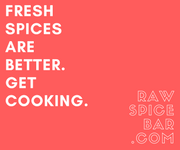 Raw Spice Bar is the best way to get freshly ground spices from around the world, delivered direct to your door. We're a subscription membership service offering freshly ground, small batch, recipe ready spices, spice blends, herbs and finishing salts. We also offer gift sets and spice storage options. Earn 8% commission on sales. Sensational Smoothies - Drink Your Way To Health Deliciously. Smoothies are drinks created by blending fruits with liquids. Form this simple definition, you will already have a pretty good idea of how simple it is to make one. Even more beneficial than the quick preparation time is the nutritional value that one glass of smoothie contains. Just a single serving of smoothie is enough to give you a significant percentage of the required vitamins and minerals in your daily diet. This amazing electronic book contains a collection of recipes that you can use to re-create flavorful, refreshing and amazing smoothies! These recipes are all kitchen tested by me and family, so you can be sure that they are not only healthy, but also actually taste good. Deciding what smoothie to serve or to prepare for breakfast, snacks or even for dessert becomes a simple matter of choosing from a menu of recipes in this ebook. Spread the word on how to make healthy smoothie drinks and earn a whooping 75% per sale of this ebook. Sensible Seeds - For over ten years Sensible Seeds has been actively involved in promoting the marijuana community through assisting worthy causes with fundraising, advertising and promotion. Webmasters which have proven themselves serious in terms of wishing to promote the legalisation of cannabis have found us to be a stepping stone through which they can promote themselves. These relationships have over time forged long term, mutually beneficial partnerships which have resulted in Sensible Seeds becomming one of the largest seed distributors in the world. If you are actively promoting a cause, have an established website, blog, forum or mailing list in which you are promoting the use of marijuana or have a widely active social network then we invite you to join our global campaign. Depending on your commitment to us we will offer you between 10% - 15% of any orders received from your unique promotions link. Sephra Chocolate Fountains and Fondue - Located in beautiful sunny San Diego, California, Sephra is the leading chocolate fountain manufacturer in the world. Our chocolate and fondue fountains are known by food service professionals around the world for their superior quality, features, and unmatched customer support. Sephra began as a family owned business and was founded on the principles that product quality is imperative, and customer service and satisfaction are always top priority. These principles continue to guide Sephra's business practices today. We welcome the opportunity to work with quality Affiliates and provide an attractive commission schedule starting at 10% commission on each sale and also incentives for the best performing affiliates. We will also reward you for your dedicated efforts as we are offering additional commissions to bring in quality traffic and better sales ratios. Additional Commissions: $1 - $2449 in sales 10% commission Over $2,500 - $4,999 in sales 11% commission. Over $5,000 in sales 12% commission. Shatter Batter - Wax Liquidizer. Shatter Batter is an innovative product that lets you use your CBD, Herbal or Essential Oil concentrates or isolates, mix them with shatter batter and make a vapable E-Juice.Shatter Batter is a veteran owned company based in Colorado Springs. We have been a flavor house for use and have worked hard to bring one of the first products of its type to the market place. Shatter batter is an innovative product that allows you to take your Shatter, Wax, Essential oils dissolve your product into shatter batter and vape it as an E-Liquid. It is the perfect coming together of vape/E-liquid and your herbal products. It only matters if it is Shatter Batter. The finest wax liquidizer on the market. This has been a great profit center for both distributors and affiliates. We pay 10 % on all sales minus shipping. Payments are made twice a month via PayPal. Smokazon.com - is an American online-based multinational corporation engaged in worldwide marketing and selling of aromatherapy-related gear and accessories. Within the past year, our company has provided an exciting destination for a variety of brand names for smoking accessories and gear dedicated to providing the best prices, selection, and overall experience you'll find online. Earn 10% commission on sales. Snack Station - handpicks delicious gourmet beef jerky that is hard to find anywhere else and deliver to you, once a month. I created these out of a need for myself. I suffer from a lot of mental fatigue and weight gain due to constant cravings of unhealthy sugary snacks. As someone who is workaholic and super busy, I couldn't have any of that. That's when Snack Station was born. This high protein low sugar snack combats fatigue, improves your diet and helps you stay lean while you work hard. The program is based on sales - 10% commission and 30 days cookie. Minimum payout is £10 via PayPal. Snowycones Ltd - Europe's leading Snow cone supplier, for machines and consumables. SnowyCones™ are delicious in-hand refreshments made from ice cubes that are shaved into the consistency of snow using our SnowyCones™ maker. This unique product is then drenched with high quality flavoured syrups to produce a refreshingly cool snack. Eye catching refreshments are made easily with no expertise and are served in a flower cup, cone or tub and are eaten with a straw spoon. Earn 7.5% commission on sales. Sunfood - Since 1995, Sunfood Superfoods has been the world's premier source of raw, organic, non-GMO superfoods and cutting edge nutrition information. Sunfood strives to provide the most nutritious and highest quality foods from around the world, and a wealth of helpful information to lead a healthier lifestyle. Sunfood's products are inspired by the principles of sustainable agriculture, living in harmony with nature and ethical global cooperation. Our aim has been, and will continue to be, to lead the way in promoting the personal and planetary benefits of raw organic superfoods. Our products convert. Our superfood and unique items are what your visitors are looking for. We are not just another drop ship site - we stock ALL of our product lines, which means we carry unique products that your customers will love. Sunfood.com is the leader in online nutrition bringing cutting edge nutrition to families and individuals everywhere. Aggressive, tiered 10%-20% commissions and 30-day cookie duration. Swissmade.direct - has tried to stay to our core belief- Swiss quality and originality essentially reflects higher quality of life. We are #1 online shopping portal for original Swiss Made products from Switzerland. With high quality products we also focus on great shopping experience. The products are of impeccable quality, which because of that, represent the best choice for the people in search for a high value in all, and so in each product he chooses. Product categories include Food, especially chocolate, clothing and Tools. I am sure your website visitors will love it. Our affiliate partners earn 10% commission on sales. Vahdam Teas - offers one of the largest collection of single estate teas, signature blends, gifts & assortments to connoisseurs across the globe. All our teas are procured garden fresh direct from plantations at source and delivered worldwide in over 65 countries. Taste the Vahdam difference and decide for yourself. Over the past few years we have shipped over 125 million cups of gourmet teas to over 75 countries across the world. We also boast off a tremendous 70% repeat order ratio in the last 12 months and are seeing a double digit growth rate month-on-month. With our infrastructure in all tea growing regions combined with our expertise in sourcing and blending, we are able to make available the freshest and most superior Indian teas and blends. With our sourcing centres located strategically, we procure teas directly from tea plantations within 24-72 hours of production. The teas then go through a rigorous quality control procedure and packaged in Double Air Sealed Zipper Pouches to ensure that the flavor, aroma & character of the tea is preserved at all times. The teas are then shipped to consumers across the world through express shipping partners like DHL, Fedex, UPS, SpeedPost in less than a week. Earn 12% commission on sales to new customers and 5% commission on sale to old customers. Vape TRIBEZ - We pride ourselves on our ready to help attitude and customer service; not to mention our ever expanding range of Vapes, E-Juices and Accessories. Earn 10% commission on sales. The Vegan Kind - The number of people going vegan has increased 360% in the last 10 years and our business is proof that that stat is spiking even further right now. We are growing exponentially as more and more meat-replacements, vegan cheeses and an abundance of milks are available; not only in mainstream shops, but in restaurants as well. The majority of vegetarians will go vegan and anyone who eats meat, will now more commonly go vegan, rather than vegetarian. Vegan shops and restaurants are appearing all over the UK and thousands of people per day are going vegan, either for the animals, their health, the planet, or out of curiosity. We offer assistance to those going vegan by shipping them an affordable, well-thought-out, box of new products every single month, showing them all the amazing new brands that are appearing each and every week. We have over 500 5* reviews on Facebook and people say receiving our box is "like having a birthday every month". In January 2017 we will be branching out into chilled goods in our Shop, which is a huge move for us due to the huge surge in traffic around items relating to vegan cheese, meats, milks and dairy replacements. This brings people to our website and when they find out about us, we expect high volumes of them to sign up for our Subscription Boxes. Default Commission Rates: Standard Purchase 1+ sales per month - 5% of order value; 10+ sales per month - 6% of order value; 20+ sales per month - 7% of order value; 30+ sales per month - 8% of order value; 40+ sales per month - 9% of order value; 50+ sales per month - 10% of order value. Whittard of Chelsea - is one of the world’s leading tea & coffee specialists, with a long standing heritage in the UK and overseas. Well renowned for its innovative ranges and expert knowledge both in-store & online, the legacy of Whittard continues to grow offering something truly unique. The Whittard story began in 1886 when Walter Whittard opened his tea & coffee store in London’s Fleet Street. His philosophy was always to BUY THE BEST, sourcing the highest quality teas from around the world and blending them to his customer’s specifications. Over 125 years later Whittard remains true to Walter’s founding philosophy, with 74 stores in the UK, established .co.uk & .com websites delivering double digit growth year on year and an ever-increasing brand presence in overseas International stores. What makes Whittard special? 130 varieties of specially blended tea & herbal infusions. Over 16 top quality Hot Chocolate Flavours from dark, white to strawberry and chilli. Quality wide ranges of specialist china, equipment and glassware. One of the few places that will grind freshly roasted coffee beans to an individual’s tastes. Fabulous gift ideas including hampers, beautifully packaged gift sets & stocking fillers. A quintessential British feel featuring everything required to host that perfect tea party! Commission Rate: New Customer – 7%; Existing Customer – 5%; Discount Code - 5%; Click & Reserve - 2%. s.a.Wilsons Therapy Blend coffee - is the first coffee to be specifically blended and roasted with therapeutic use in mind. After much research and testing s.a.Wilsons have developed a coffee blend that has enhanced properties, which make it a superior blend for enemas. If you have a web site, you can join the s.a.Wilsons partner program and earn money by promoting any of our Products from your site. Every time you send s.a.Wilsons a customer from your site, you earn up to 10 % of each sale. All you have to do is decide how you want to link to s.a.Wilsons. Wine House Portugal - is an online shop that sells Portuguese wine such as table wines from Douro, Dão, Alentejo, Port wine, Sparklings or Madeira fortified. Wine House Portugal Affiliate Program is your opportunity to make extra income selling our fantastic Portuguese wines. Receive 5% commission on every sale. The Wine Spies - offers one wine of exceptional quality each day at a great price. The Wine Spies offer their wines at discounts of 25-30% off normal retail and often have free shipping offers to inspire larger orders. Once their daily wine is sold out, the deal is over until the next day. In some cases, The Wine Spies may run a second wine during the day as well. If you have wine consumers visiting your site, this is a great way to make some extra money. The Wine Spies customers usually purchase 4-8 bottles, so even though the margins are small, the average ticket price is $100-150. This affiliate program pays you 5% of the total order ($5.00-7.50 comission per sale, commissionable total exclude tax and shipping). Wise Company - Wise Company’s ready-made meals carry a shelf life of 25 years, with absolutely no rotation needed. That's 25 years without the stress of wondering if your family will have enough good, usable food when emergency strikes. Endorsing Wise Company products can help your visitors discover high quality products, enhance your Web site and earn big commissions. The Wise Company Affiliate Program provides online publishers with the opportunity to earn great commissions while giving visitors access to some of the highest quality freeze-dried food available. As an affiliate, you will have access to a Wise Company creative assets and product links that have been designed to appeal to your audience. Each time a visitor to your site clicks on one of these links and makes a purchase at WiseFoodStorage.com, you will earn 12% commission. Wise Food Storage - The Wise Company Affiliate Program provides online publishers with the opportunity to earn great commissions while giving visitors access to some of the highest quality freeze-dried food available. As an affiliate, you will have access to a Wise Company creative assets and product links that have been designed to appeal to your audience. Each time a visitor to your site clicks on one of these links and makes a purchase at WiseFoodStorage.com, you will earn 12% commission. Wise Company’s ready-made meals carry a shelf life of 25 years, with absolutely no rotation needed. That's 25 years without the stress of wondering if your family will have enough good, usable food when emergency strikes. Endorsing Wise Company products can help your visitors discover high quality products, enhance your Web site and earn big commissions. zChocolat.com - was created in April 2000 and specializes in luxury chocolates gifts that they deliver world-wide. They have been growing at 250% per annum since. Their luxury gifts range from $29.99 (our Survival Pack) to $899.99 (the 100 Mini Pack). 70% of their products are delivered within the United States. The chocolate comes from world-champion French chocolatiers and does not contain preservatives, colouring or fat other than the pure cocoa-butter. Earn 20% commission.